Beyonce Giselle Knowles-Carter, popularly known as Beyonce befits the title destiny’s child perfectly. She has come a long way from her initial days of struggle to the recent days of luxury. We have seen her style and personality evolve, always for better. We all love her music, her rocking voice and her style. So much has changed over the years but what remains the same even today is Beyonce’s stunning looks, especially her gorgeous face. With a beauty like her, one need not put in much effort to look spectacular with any trace of makeup. Now let’s see some of the pictures of Beyonce face without makeup. Here are top 10 pictures of Beyonce Knowles without makeup. Black jumpsuit, black round glasses and a stunning smile with blonde hair let lose. What more can we ask from Beyonce to make us fall in love with her more! No amount of makeup can match that natural beauty. Trust Beyonce to make a style statement with everything she wears. Seen here, Beyonce seems to be enjoying her motherhood. We love the high casual bun, glasses and those tiny little legs of Baby Beyonce showing. Motherhood sure has brought a beautiful glow on Beyonce’s face. She needs no makeup! Just a cheerful smile is enough to catch our eye. White sleeveless top and white pants to complement her perfectly radiant face and blonde hair is all that Beyonce needs to bring the house down. Trust Beyonce to surprise you each time with her lovely looks. 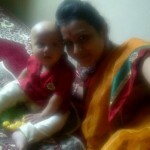 We love the polka dotted number that she is sporting here with a somewhat lose bun. What we love even more are those chandeliers inspired by our Indian designs. 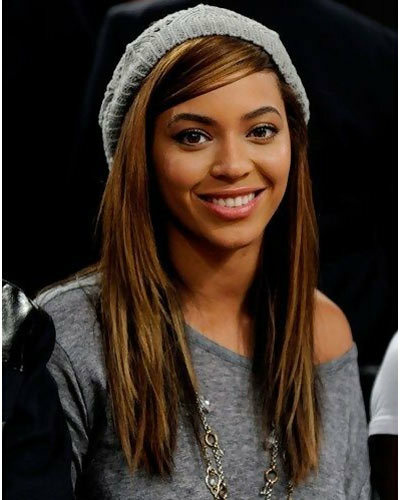 Blessed with a natural dusky complexion, Beyonce pulls off this attire with panache and that too without makeup! Beyonce opts for a simple black outfit with blue shoes and bag to go with. We did not find the outfit that extraordinary but we aren’t complaining either. Her persona and attractive face adds all the attention this look needs. After all, it all comes down to being beautiful, naturally. We applaud for Beyonce’s choice of yellow hot pants, with yellow tee and fitted jacket. The outfit looks simply smashing paired with those natural blonde curls and contrasting clutch. Her glowing skin and smile replace makeup more than perfectly. With those see through stockings with printed tunic, black overcoat and high bun, Beyonce sure can give anyone a run for their money. We all own that one pair of blue denims that we always team up with a white top; Beyonce does the same but with a little differently. She adds a little jazz to her top and that attitude to kill for that ensure that the lack of makeup doesn’t affect her looks in the least. 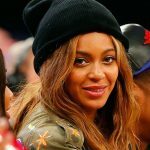 We must have overstressed what a breathtaking smile Beyonce has, but we can’t help but fall in love with her radiant beauty over and over again. This short and strappy dress with a braided low bun and glares complemented her natural beauty so well. Wait, did we say no hint of makeup! 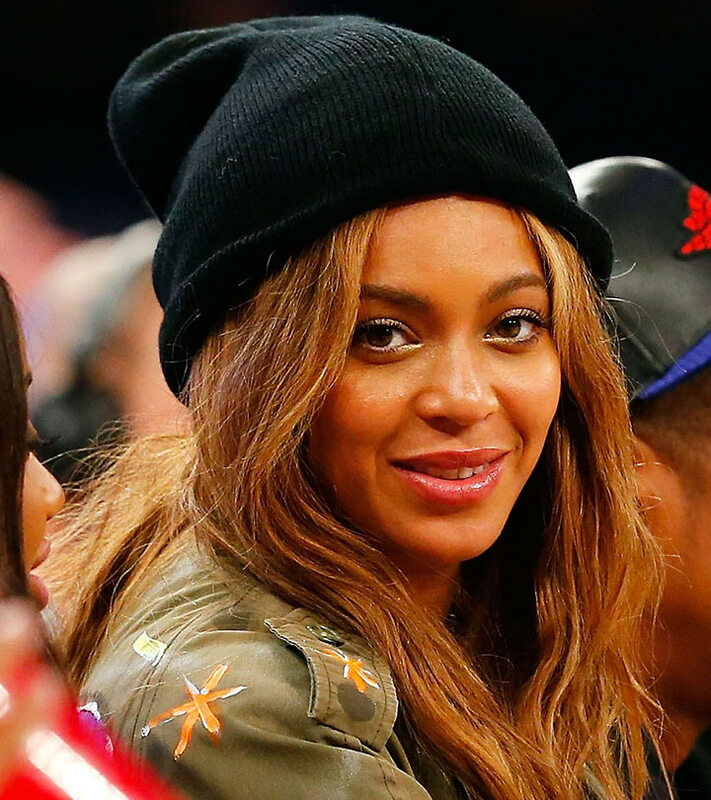 Beyonce just brushes a little mascara and some lip gloss to accompany this gray off-shouldered top. We specially love the woolen headwear; perfect accessory to balance that angel-like face and smile. So whats your take on this beyonce knowles no makeup collection? Feel free to drop in your opinion in the comments section!